Your company, agency, or organization can be a sponsor of the Marin Senior Fair. Two levels of sponsorship are available: Gold and Platinum. Name in footer and sidebar of all pages of the Marin Senior Fair website. Name on Fair Flyer (print distribution: 10,000 publicly posted flyers). 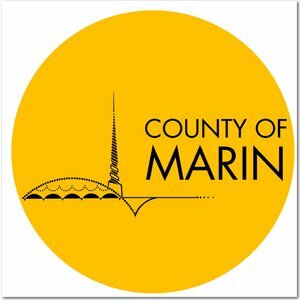 Name in supplement to the Marin IJ (print distribution: 20,000 Marin households). Name in Fair Program (print distribution: 2,000 Fair attendees). Name on Sponsors poster at the Fair. Name on all Fair signage. Custom printed 2'x8' printed banner, hung overhead at the Fair. Plaque of Appreciation presented at Fair Awards Ceremony. Logo in footer and sidebar of all pages of the Marin Senior Fair website. Logo on Fair Flyer (print distribution: 10,000 publicly posted flyers). Logo in supplement to the Marin IJ (print distribution: 20,000 Marin households). Logo in Fair Program (print distribution: 2,000 Fair attendees). Logo on Sponsors poster at the Fair. Logo on all Fair signage. Logo on all bulk emailings. Logo in all newspaper ads. Trophy of Appreciation presented at Fair Awards Ceremony. Article in the Fair Program and Marin IJ Supplement. Free literature distribution in 1,500 attendee tote bags. Free ad on the Marin Senior Fair website. Please email us at sponsor@marinseniorfair.org, or call us at 833-347-0007. Also see our Advertising Opportunities. The Marin Senior Fair reserves the right to accept or deny sponsorship offers.